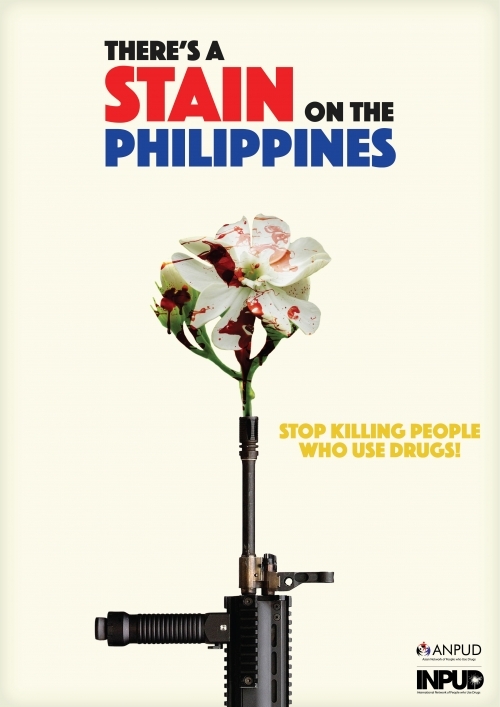 BWA and INPUD launch "There's a Stain on The Phillipines"
There's A Stain On The Philippines campaign was produced in collaboration with INPUD and ANPUD. The goal of the project is to raise awareness and demand a response to the widespread extrajudicial killings of suspected drug users in the Philippines. The government of the Philippines, under President Dutarte, has not only conducted murders of drug users through its police and military, it has also encouraged vigilante groups to hunt down and kill them. This primarily social media campaign was distributed throughout the world to call attention to these atrocities.